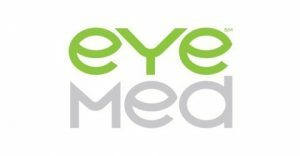 Our partner, EyeMed, is stepping in to help those affected by the recent California wildfires. They want to do everything they can to provide support in this critical time of need. If any members lost, broke or damaged their glasses (or contacts), EyeMed is prepared to help. 1. Call 866.652.0018 to talk to an EyeMed representative. 3. For emergency, replacement Adlens Adjustables, be prepared to provide the address of your choice where they can be shipped – or whether you will instead pick them up from a designated local store. 4. That’s it. A pair of Adlens Adjustable Glasses will be sent to you with free overnight shipping (must call by 2:30 pm EST for same-day processing). We understand the need for immediate assistance may extend beyond our vision benefit members. If you know of residents in areas affected by the California wildfires who don’t have EyeMed Vision Care or other vision insurance benefits, and need financial assistance to obtain eyewear, they can reach out to OneSight for local support at 1.888.935.4589. OneSight is a non-profit organization we partner with that provides eye care and eyewear solutions for those in need around the globe. OneSight assistance program information can also be found at OneSight. Phones Off Tomorrow (10/31) for Halloween!